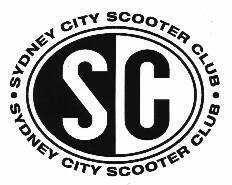 SCSC Website (www.internetscooter.com/scsc.html) is has been updated. Kangaroo Valley. This went down really well. Although the weather put a lot of people off riding, the 6 scooters that eventually braved it were rewarded with sunny skies and excellent winding roads once out of Sydney. All 20 people enjoyed the hospitality of M&M Guesthouse and despite one particular "incident" I think that we will be welcome back next year. I am sure that everyone had a good time. The Next Meeting Wednesday 5th there has been no ride out planned. If this annoys you please put your hand up and volunteer to organise one and we will support it. Unfortunately all our efforts have been on the Easter National and this is what the main topic of the meeting will be. Booking - we would like to take paid bookings as soon as possible. We have 30 places booked at Gearin's, we are expecting to need more but can't risk it until we have a firm base of paid bookings. So if you are going, try and set it in concrete by paying at the next meeting. If you book late you will miss out!!! Accommodation for people from other States - there will be people arriving from other States, we would like to know if there is anyone (that isn't already doing so) that can put up a floor space for someone to sleep on for the Friday and Monday nights. RECOVER FROM THE EASTER NATIONAL SCOOTER RUN!!!! !